Who Will Like Condenser Microphones? 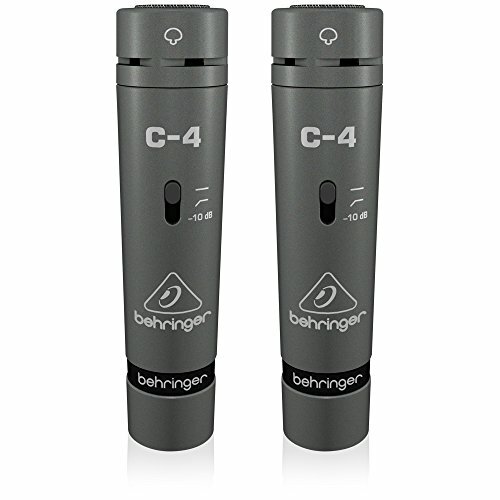 Conclusion – Is The Behringer C-4 The Right Mic For You? Microphones are a very important resource for any type of musician. If you are a musician, then you know how nice it is to have access to a high-quality microphone. When you are in the studio, it is important to have the best microphone that can pick up sound accurately. One of the best types of microphones to use in a studio setting will be the condenser mic. A good condenser microphone is excellent at many things. It is famously good at helping people when they are trying to record acoustic instruments. You can mic up an acoustic guitar, and the condenser mic will pick up all of the subtle audio. A professional-grade condenser mic can help people to achieve truly excellent recordings. Mics like this are great when it comes to recording vocals, too. This makes them quite popular for recording singing, but it can also be useful for recording speech. You will find that many people who speak professionally make use of high-quality mics like this. They are good for live applications as well as studio purposes, so they’re certainly worthwhile to own. 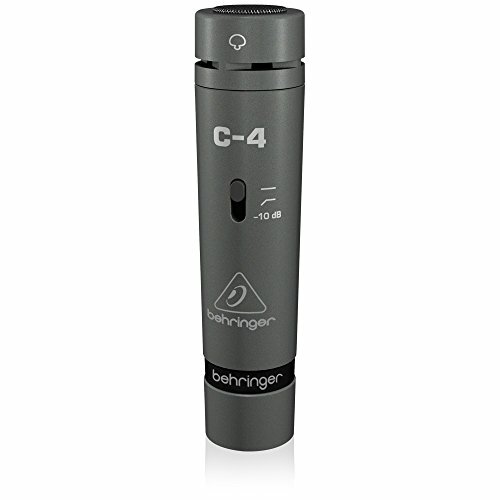 If you have been looking for a high-quality condenser mic, then you may want to consider the Behringer C-4 studio condenser microphone. This microphone is built to give you the best possible sound, and it is something that has proven to be very popular among professionals. Take a look at all of the pertinent details of what this mic has to offer. It will help you to decide whether or not it is the right mic for you. The overall appeal of this microphone is quite vast. It is going to appeal the most to musicians because of its excellent capabilities. It can ensure that your singing will come across smoothly and that your instruments will sound great. Using these microphones on an acoustic guitar will work perfectly, and you can mic up many different types of instruments. It would not be uncommon for musicians to use these mics as an overhead mic or to position it to pick up sound for a piano performance. Musicians will be able to use this in the studio, and they will also be able to make use of it when performing live. It can provide you with the smooth sound that you want. When you use microphones like this to their full potential, it can help to improve the audio in a significant way. These will work great as both main mics and support mics for musicians. You will commonly find microphones like this being used in churches, too. It will work nicely for worship music and can also be good for speaking purposes. These mics are cost-effective enough to be practical for even small churches. The sound quality will always be good, and you can get your message across. People who record audio for purposes other than music like to use professional-grade condenser mics like this, too. A good example of a common use outside of the realm of music would be podcasting. People who record podcasts need microphones that can provide them with clear audio. Professional audio engineers, voice over actors, and even radio personalities can potentially benefit from having mics like this one. This is a very good deal as you will be receiving two condenser mics in the box. You will be able to enjoy several extras that are packed into the box, too. You’ll be getting custom stand adapters, windscreens, a stereo bar, and a transport case. 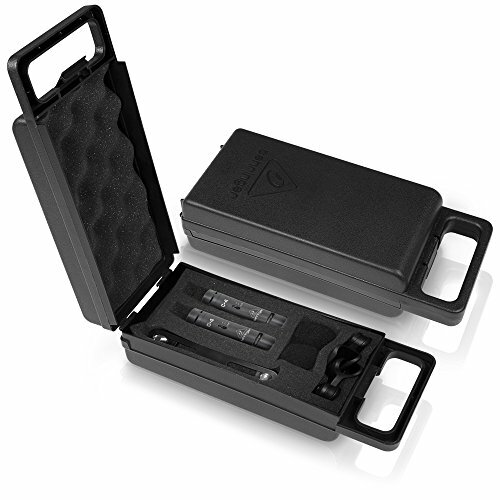 The stereo bar will help you to mount the mics in stereo alignment, and you will be able to use the transport case to keep the microphones safe while transporting them to gigs. 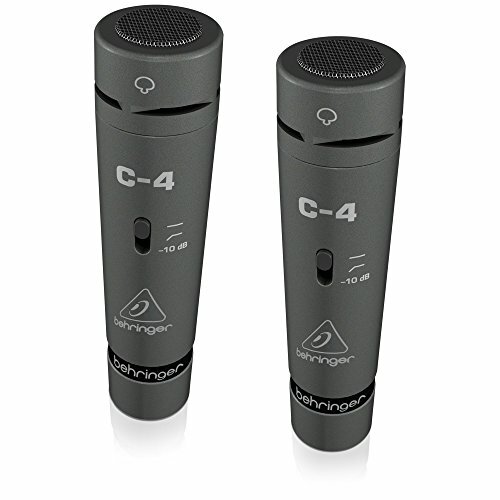 You should come away pretty impressed with the features of the Behringer C-4 studio condenser microphone. It makes use of a great cardioid pickup pattern that allows for effective feedback elimination. You can avoid any background noise and other annoyances while you are recording. This is also very beneficial in a live setting, so it is going to be excellent to have a reliable mic that won’t cause feedback issues. The low-mass diaphragm will allow for ultra-wide frequency response. This can help you to get the best possible sound reproduction. It’s perfect for when you are trying to get the most out of your sound in a live environment, and it also works great in the studio. The little intricacies in your playing or singing will be able to be captured beautifully when you use a microphone that has this level of quality. It also has switchable low-frequency roll-off and input attenuation. This helps to eliminate little noises that you otherwise might have to be concerned with. For example, mic handling noises can be eliminated, and creaky stages won’t wind up getting picked up by the mic, either. The switchable -10 dB input attenuation can help with mitigating the annoyance of hot signals, too. This means that when a vocalist is too loud, it will even things out so as not to cause any problems. 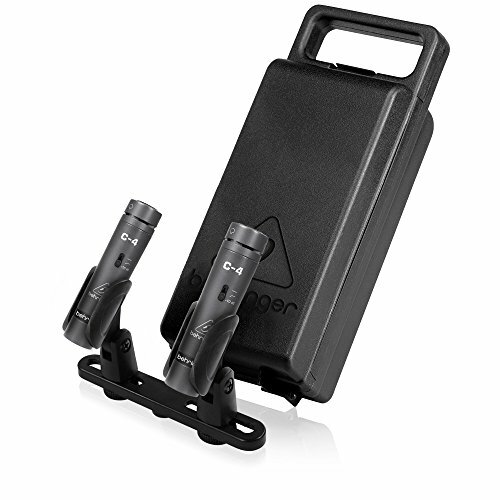 These mics have an exceptional frequency response and will work well for your needs. They have an average boost of 4 dB between 1 kHz and 8 kHz. This will allow for brighter sound overall and you’ll get good results. It works brilliantly for choirs and acoustic pianos. One of the best alternatives to consider will be the Audio-Technica AT2020 studio condenser microphone. 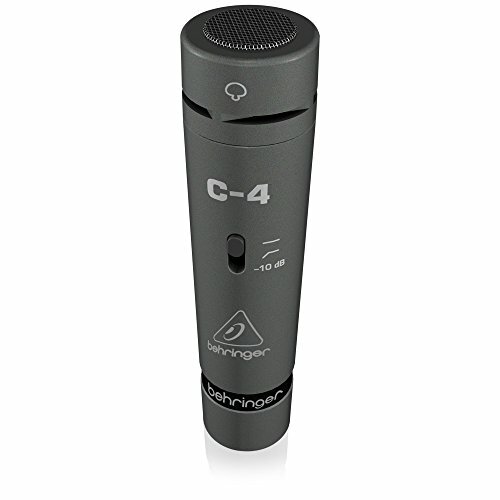 This is a very similar microphone to the Behringer C-4 and will also work well for your needs. You will only be getting one microphone in this pack, but it will work great for many purposes. This is one of the most popular mics on the market when it comes to podcasting, so keep it in mind if that is one of your main reasons for looking into condenser mics. 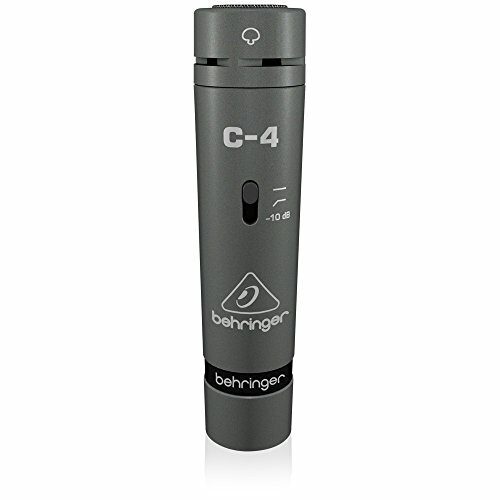 The Behringer C-4 studio condenser microphone is going to work excellently for your needs. If you have been looking for a high-quality studio microphone, then this is going to be a great purchase. It will work well as a touring microphone, too. Musicians will love these microphones and will be able to get plenty of use out of them over the years. Non-musicians will be able to make use of high-quality mics like this, too. They are really going to be great for anyone that needs to record sound with exceptional quality. 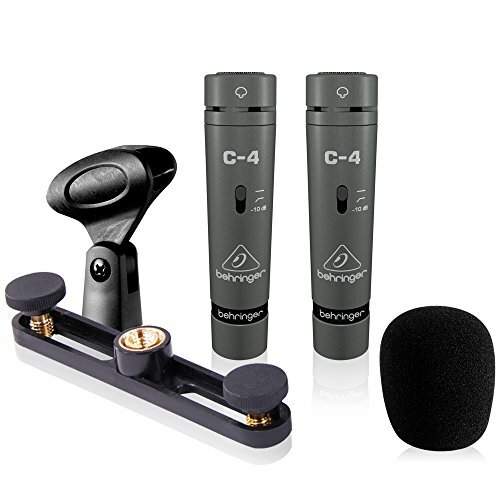 The fact that you are able to get two microphones at such a reasonable price makes this an easy purchase to recommend. Your new condenser mics will work out well for you, and you’ll sound better than ever.